What can I send to Mexico? What items are restricted? See customs information on destination page. SendMyBag is currently unable to ship Personal Effects to the Tijuana area of Mexico. Postcodes affected include 21400-21590 and 22000-22995. Visitors can enjoy numerous outdoor activities in Mexico, from golfing to tennis, to deep-sea fishing. You may want to enjoy all the activities Mexico has to offer but are worried about how to bring your own sporting equipment with you on the plane. Airlines often have restrictions on the amount of outsized luggage you can bring, as well as fees for exceptional baggage. You don’t have to think about this if you send your items to Mexico with Send My Bag. Your journey is made so much easier if you don’t have to think about your luggage but instead have it waiting for you when you arrive at your accommodation. Our carrier service also allows those who are relocating to Mexico or students moving there to study to bring with them everything they need to set up home in Mexico. They can pack all the items they need ‒ books, clothes, DVDs, etc. ‒ into a box or suitcase and have it arrive at their new accommodation. If you are going to enjoy an activity holiday to Mexico, or if you are moving there to study or work, you can send your possessions to Mexico in a suitcase with Send My Bag. This makes your journey much more pleasant since you won’t have to worry about your luggage. Instead you can have it waiting for you at your accommodation. You can also bring many more items than you could if just checking a couple of bags into an airplane’s hold. To find out more about sending luggage to Mexico, visit our ‘How it works’ page, or our ‘FAQs’. Mexico has great golfing weather most of the year, and the country has around 200 golf courses, making it a golfer’s paradise. Some of the top rated courses are Diamante, Cabo del Sol and Quivira. If you want to go on a golfing holiday or just take in a few rounds during your trip to Mexico, you can do so with your own clubs, by shipping them to Mexico with Send My Bag. You won’t have to carry your clubs through the airport or onto public transport and you will also avoid any embarrassing oversized baggage fees from your airline. So why not look into sending your golf clubs with Send My Bag. Make sure you find out how best to prepare your golf clubs for transit by visiting Send My Bag's information page on how to send golf clubs. Mexico is a great cycling destination, with lots of excellent cycle routes to choose from, allowing you to truly take in the scenery and to go beyond where the road could take you. You can do this from the comfort of your own bike by shipping your bicycle to Mexico with Send My Bag. You can spend your whole trip cycling ? just send your bike to your first hotel, cycle as far as your like and have it picked up again at your final accommodation. Learn more about bike shipping with Send My Bag. If you are moving to Mexico to enjoy the warm weather, to work or to retire, you will need to look into international removals to Mexico in order to transport all of your possessions. Ensure that all your items are carefully packaged before you hand anything over to the movers, so that nothing gets damaged in transit. Use appropriate packaging for your items and secure everything well. Top universities in Mexico include the Universidad Nacional Autónoma de México, the Instituto Politécnico Nacional and the Tecnológico de Monterrey. If you have decided to study in Mexico, you can make the move quickly and easily by sending all your items with Send My Bag. We can send all sorts – books, writing materials, clothes, etc. ? to your student accommodation. Find out more about student shipping with Send My Bag and how to claim your student discount. You could send a parcel to Mexico with Send My Bag. Friends and family could use this option to send you a gift or to forward something that you have left behind. You should choose a good sturdy box when sending a parcel to Mexico and seal it up well so nothing gets damaged in transit. Also make sure you know about rules regarding brand new items (see below). Read more on our parcel shipping information page to find out what you are permitted to send with Send My Bag, and how to package your items. Air freight is one suggestion for sending large items, such as a desk or a chest of drawers, to Mexico. Sending items by air freight usually takes one to two days, which is normally faster than sea freight shipping, but generally more expensive. What you have to pay will depend on the weight and size of your shipment. You will probably also have to get a customs agent to handle customs clearance for you. And, you need to work out how to get your items to and from the airport, which means that costs could quickly increase. If you send internationally by air freight to Mexico your items will likely arrive at one of the major airports, such as Mexico City, Cancún or Guadalajara International Airports. Instead of air freight, you could try sea freight or container shipping to move your possessions to Mexico. Again, this option is usually used when transporting large items, like a coffee table or armchair. Sea freight usually means shipping items in large containers loaded onto cargo ships. It can be cheaper than air freight, but you will still need to use the services of a customs agent and will need to sort out how to get your items to and from the ports, which means it could cost more than expected. When using container shipping to Mexico your items will most likely arrive by ship at one of the major sea ports, such as Veracruz, Manzanillo or Ensenada. Excellent customer service, fast and efficient. In order for shipments to be permitted for entry by Mexican customs, the named receiver on the order must provide a copy of their passport, flight ticket confirming travel to Mexico from the country they are shipping from (must be dated within 3 months of the shipment’s arrival), entry stamp confirming their arrival in Mexico, and if a non-Mexican citizen, their FMM Visa (Tourist Card), Residence or Work Visa, or CURP (Mexican ID) number if held. Documents must match the name of the receiver on the booking as customs will not accept documents in the name of the shipper. As the entry stamp and visa are required, this also means that the receiver must be in Mexico at the time of clearance. Should the required documentation not be provided, or receiver not be in Mexico at the time of clearance, then the shipment may not be permitted for entry by customs and may be returned to the origin country. Upon the shipment's arrival in Mexico, customs will contact the receiver directly to complete a 'Carta Encomienda' letter of authorisation, before the clearance process will begin. You must therefore ensure the telephone number provided for delivery is valid and that someone is available to receive the call. In the event this takes longer than 2 days to provide, there may be additional storage charges. Customs may at their discretion request further information and therefore delays are possible. Send My Bag provides a service into Mexico primarily for those relocating to Mexico and who are not inconvenienced by the customs process, this route should not be used for time sensitive personal effects shipments such as luggage for a holiday. 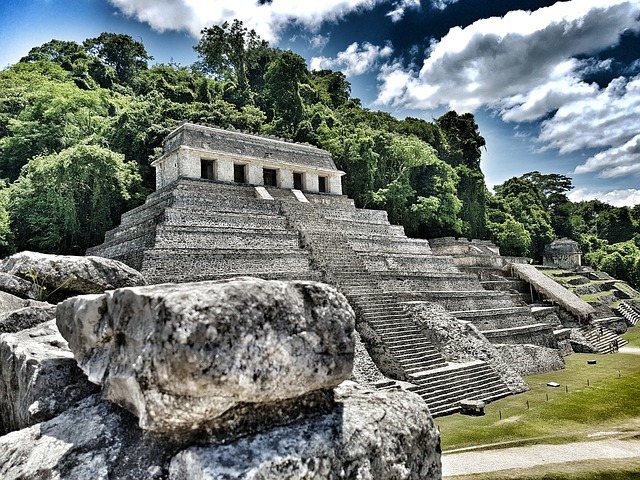 Mexico has a fascinating history, having been ruled by several great civilisations – the Mayas, the Olmecs, the Toltecs and the Aztecs ‒ before being ruled over by the Spanish for at least 300 years. Mexico gained independence from Spain in 1821. Spanish influence is still very much in evidence, however, especially in the country’s use of the Spanish language. Mexico’s climate varies depending on the region, but generally experiences hot and humid weather along the coast and dryer weather inland, especially in areas that sit high above sea level. You may even find freezing temperatures in winter, with snow on the mountain tops. Average temperatures in the capital city, Mexico City, are 18°C in summer and 13°C in winter. Mexico is home to over 30 UNESCO World Heritage Sites, making it a great destination for travellers. These include the pre-Hispanic towns of Chichen Itza and Uxmal and the historic centres of Mexico City and Xochimilco (a borough of Mexico City). You can enjoy many areas of natural beauty in Mexico, including Chiapas, which is a subtropical region with thick rainforest and Mayan ruins. You should also visit the Copper Canyon in Chihuahua, which has enormous cliffs and numerous caves. If you fancy a beach holiday, Mexico has a large number of beach holiday resorts to choose from. Some of the most popular areas are: Cancun, Acapulco, Playa del Carmen and Los Cabos. Most resorts offer facilities to allow you to enjoy many water sports, such as diving, surfing, snorkelling, sailing and deep-sea fishing.